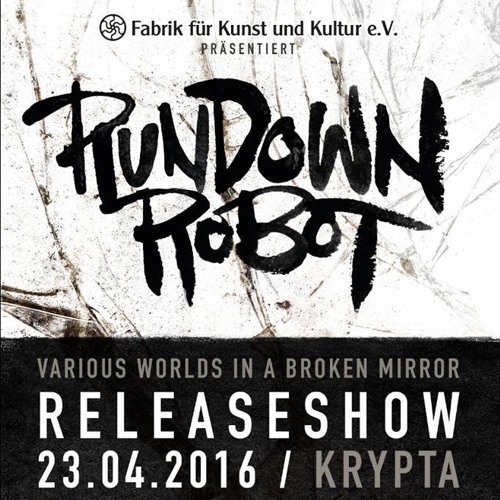 Rundown Robot is a rock group formed in Göppingen (GER) in summer 2013. Since then the four guys fill every ear with their catchy melodies and powerful guitar riffs. Rundown Robots overwhelming joy of playing takes the audience on a musical adventure full of emotions. At least since the release of their first demo recording, the “Motored Minds EP”, Rundown Robot breathed new life into the rock scene. More than 30 thrilling and unforgettable live shows followed. In order to not just continue but expand the musical adventure of Rundown Robot, their first album “Various Worlds in a Broken Mirror” will be released on 24 April 2016.